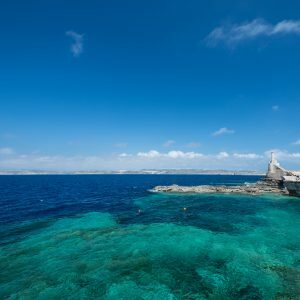 The lucid and crystal clear waters around the coast of the island of Malta invite both the experienced and beginner diver alike to explore their hidden treasures and depths. The abundance of natural harbours, inlets, reefs and wrecks of this beautiful island are home to a wondrous variety of marine life, and with excellent visibility up to 30 meters, this makes it a perfect spot for underwater photography. 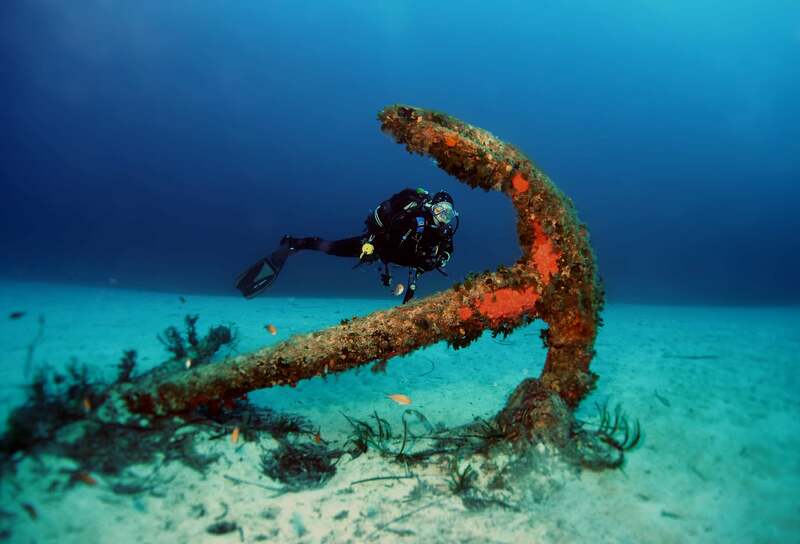 Divers are spoilt for choice with many diving sites only a stone’s throw apart. Ghar Lapsi is a fishing hamlet on the Southern coast of the island. 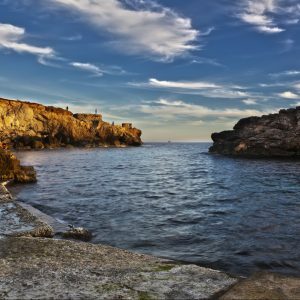 As a diving location, it is best described through translation of the Maltese word ‘Ghar’ meaning ‘cave’. The entry spot into the diving sites is accessible even for beginners, and with only a few strokes the shallow system of underwater caves can be reached. 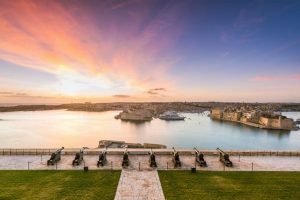 The bright sunlight of the glorious Maltese climate lights up the space through the numerous exits, casting a greater view onto the many varieties of marine inhabitants. The reefs and depressions of this area are plentiful and at a depth range of mostly 15-20 meters house many hiding spots for marine life. Marfa Point, located in the North of the island, hosts a old metal jetty, near which lies the sunken tugboat Rozi some 135 meters away. The tugboat Rozi is a 40 meter tug boat that was deliberately sunk in 1991 to serve as an attraction for the glass-bottomed boat tours that frequent the area. The Rozi now sits on the sandy seabed and is intact save for its engine and propeller, serving as a home for the many fish varieties that shelter in and around it. 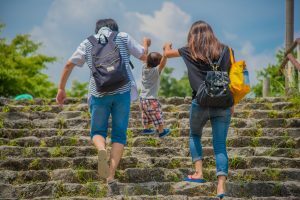 Therefore it is easy to see why it is one of the most popular dive sites in the islands, with many hidden depths to explore and marine life to see, such as seabream, scorpionfish, rainbow wrasses and cardinal fish. In 1998, there was a terrible explosion onboard the Em El Farroud, which killed nine Maltese dockworkers and caused the vessel to sink in the harbour of Valletta. 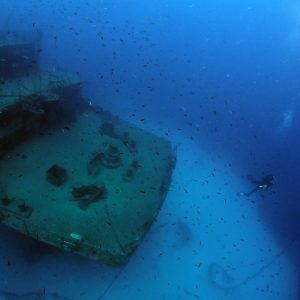 For three years it lay with a memorial brass plaque above the front windows of its helm, and now sits upright on the sandy sea bed Southwest of the town Wied Iz-Zurrieq. The Um El Farroud remains a large boat, weighing approximately 10,000 tonnes and is 115 meters in length. For diving purposes, it has a depth of 18 meters from the top of the bridge and 25 meters to the main deck. 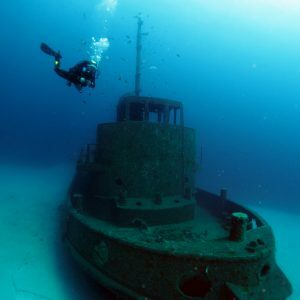 However this is not a dive for the beginners, as despite the ease at which the wreck can be entered, the size of the sunken vessel dictates that only those with advanced wreck diving experience should attempt it. Those that do will be rewarded with wonderful sights of squid and barracuda, and large schools of seabream, parrotfish, silversides, and the occasional amberjack and tuna on both port and stern sides. At the North-Eastern point of the island, there are a number of surface caves, several of which lead to tunnels into the diving point. This is a narrow inlet which has depths ranging from 3 to 10 meters. For divers willing to carry out a 10 minute snorkel, an intriguing option then presents itself – on the left there is a reef housing an impressive array of marine life, and a spectacular drop-off. On the right there is an underwater entrance to a large cave. Both options, however, will show dividends with the variety of marine life on show, including a plethora of cardinalfish, beautiful corals and red sponges. 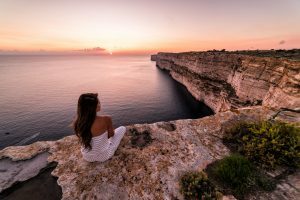 In the North of the island, the area of Cirkewwa is famed for its diving opportunities, primarily for the impressive drop-off from 8 to 30 meters. 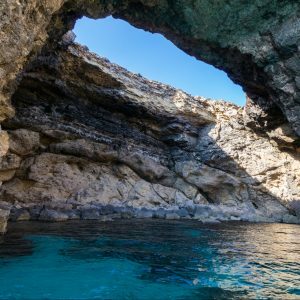 There is also a picturesque archway, a large hole in the top creating a narrow bridge of rock through which divers can access, and numerous impressive caves, which are worthy of exploration. Going diving? Check out these diving tips!